Kawasaki KZ 750 LTD Shaft and KZ 750 Spectre. Fits 1982 and 1983 models. 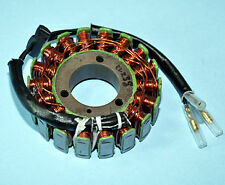 1980-1983 Kawasaki KZ750H LTD. YOU ARE PURCHASING NEW RICKS ELECTRICS STATOR FOR THE FOLLOWING MODELS LISTED BELOW. 1983-1985 Kawasaki ZX750A GPZ 750. 1981-1983 Kawasaki KZ650H CSR. 1980-1982 Kawasaki KZ750E (4 CYLINDER). Note: Image is for reference only, actual product may vary slightly depending on your vehicle. Actual product may vary. 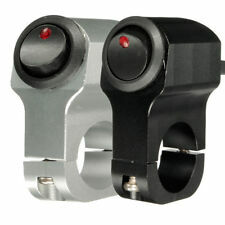 Left Side Handlebar Switch. NOS KAWASAKI. Kawasaki P/N 46091-1128. 81 KZ750-H2 LTD. KAWASAKI P ARTS. We will send an invoice with totals at end of sale. PRO CIRCUIT MONSTER FLEX HAT BLACK L/X PC10401-0235. 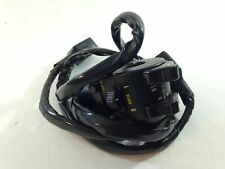 J&M ELITE HEADSET HI-SPEAKER OPEN/FLIP/FULL FACE STYLE HS-EHI787-UNV-XHO. EVS RC4 PRO RACE COLLAR BLACK ADULT R4P-A. You may also like. Removed From: 1980 KZ750 LTD. This gauge is in ok condition. New Ignition Coil 12 Volt fits Kawasaki KZ440 KZ650 KZ900, etc. New Spark Plug Cap Included. Regulator/Rectifier~1983 Kawasaki KZ750H LTD~RICK'S MOTORSPORT ELECTRICAL INC.
KZ750-L LTD (1980-1983). The Honda KZ750-H Battery is covered under our one year warranty directly through High-Tech Battery Solutions. A real battery specialist will get back to you ASAP. The Battery Specifications. We have a left handlebar switch for a 1981 Kawasaki KZ750 LTD. This switch is in good condition. The factory wiring connections are all in place and the switches all function as they should. The switch is for the horn, lights, hazard and blinkers. We got approx. 23.000 different NOS parts for Kawasakis from late sixties to early nineties. RELAYS ARE UNTESTED. WE DON'T KNOW, WE ONLY DISMANTLE. WE DON'T KNOW IF A PART HAS BEEN CHANGED OUT OVER THE YEARS SO COMPARE OUR PICTURES TO YOUR PART. IF IT DOESN'T LOOK LIKE YOURS IT WILL. WILL THIS PART FIT ANY OTHER MODEL OR YEARS ?. YOU ARE PURCHASING A NEW REGULATOR RECTIFIER FOR THE FOLLOWING MODELS LISTED BELOW 1980-1983 KZ750H LTD. 1979-1980 KZ1000 LTD. 1978-1979,1981 KZ1000P POLICE. 1981-1983 KZ650H CSR. 1980 KZ1000G Z1 CLASSIC. IGNITION COIL FITS ON. KZ440-D1 LTD 1980. KZ750-G1 LTD II 1980. KZ440-D2 LTD 1981. KZ440-D3 LTD 1981. KZ440-D4 LTD 1982. KZ440-D5 LTD 1983. KZ440-A1 LTD (1980). KZ440-A2 LTD (1981). KZ440-A3 LTD (1982). KZ440-A4 LTD (1983). KZ440-D1 LTD Belt (1980). KZ440-D2 LTD Belt (1981). KZ440-D3 LTD Belt (1981). KZ440-D4 LTD Belt (1982). KZ750 CSR Twin 1982. KZ750 LTD II 1980. REGULATOR RECTIFIER FITS ON. KAWASAKI MOTORCYCLE. KZ750 TWIN 1976-1979. KZ750 LTD TWIN 1980-1984. OIL FILTER FITS ON. EXCITER COIL/PICK UP COIL. 1983 KZ750 LTD. NOS KAWASAKI. Kawasaki P/N: 59026-1022. KAWASAKI P ARTS. We will send an invoice with totals at end of sale. 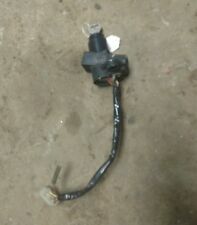 Starter Solenoid. YAMAHA: Replaces OEM# 261-81940-11. HONDA: Replaces OEM# 35850-431-007 / 35850-HB3-771 / 35850-HB3-000 / 35850-371-670 / 35850-306-670. Eyewear Clothing & Accessories. Engine Related Parts. SET OF TWO IGNITION COIL FITS ON. KZ440-D1 LTD 1980. KZ750-G1 LTD II 1980. KZ440-D2 LTD 1981. KZ440-D3 LTD 1981. KZ440-D4 LTD 1982. 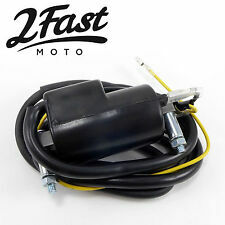 KZ750 KZ750A, KZ750B LTD. New High Starter Relay Solenoid for Honda ATVs and Kawasaki Motorcycles. KZ750 Standard. KZ750 Sports. KZ750 GPZ CSR Twin. KZ250 LTD CSR / Belt. KZ550 KZ550A, KZ550C LTD STD. Z1 - Kz900 - Kz1000 - H1/500 - H2/750. 73-75 Z1 900 77-79 Kz650B. 74-75 H2 750 2-Stroke 75-77 Kz400S. 72 H1 B 500 2-Stroke 80-81 Kz440B. TURN SIGNAL. Replaces Kawasaki P/N: 23040-034. 1976 Kz900B LTD 76-79 Kz750B. One (1) new/ NOS Kawasaki 59026-1010 Pulsing Coil KZ KZ750 KZ440 CSR LTD 1980-83. GENUINE Kawasaki PART. 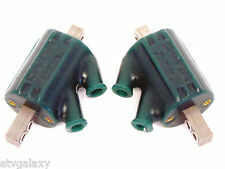 2 POINTS STYLE COILs, 90MM MOUNTING SPREAD FOR POINTS STYLE IGNITION. 78-79 KZ1000C1/C1A/C2 Police. 77-79 KZ1000B1/B2/B3 LTD. 77-78 KZ1000A1/A2. 73-75 Z1/A/B-900. 1976 KZ900B1 LTD. 76-77 KZ900A4/A5 76-77. S Ignition System for Kawasaki. Kawasaki KZ550A 1983. Kawasaki KZ550A 1982. Kawasaki KZ550A 1981. Kawasaki KZ550A 1980. Kawasaki KZ550C LTD 1983. Kawasaki KZ550C LTD 1982. Kawasaki KZ550C LTD 1981. Flasher Relay. Misc Body Parts Mirrors. Eyewear Clothing & Accessories. Engine Related Parts. Electrical and Lighting. Classic Picks. Rated @ 10watt. 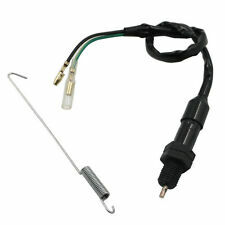 Info from side of Flasher12V / 8w - 23w x 2, Max 4 Pieces / Signals. 1982 - 1983 KZ1100D Spectre. 1981 - 1983 KZ650H CSR. 1982 KZ750M CSR. 1982 - 1983 KZ750N Spectre. 1985 VN700A Vulcan. 1985 - 1987 ZX600A Ninja 600R. 1987 - 1989 ZX750F Ninja 750R. 1984 - 1986 ZX900A Ninja. KZ750 A B LTD 1976-1983. KZ750K LTD TWIN 750 1983 1984. KZ750G LTD TWIN 750 1980. OIL FILTER FITS ON. KZ750 KZ750A, KZ750B LTD 1976-1983. STARTER SOLENOID/RELAY FITS ON. KAWASAKI MOTORCYCLE. Kawasaki part #25005-1078 (Grim Cycle # 109203). We will need your city, state, and zip code. Kawasaki KZ550A 1983. Kawasaki KZ550A 1982. Type : Electronic Ignition. Kawasaki KZ550A 1981. Kawasaki KZ550A 1980. Kawasaki KZ550C LTD 1983. Kawasaki KZ550C LTD 1982. Kawasaki KZ550C LTD 1981.